With the rise of large-scale botnets, Distributed Denial of Service (DDoS) is making a resurgence, both in frequency and sophistication of attack. With our 84,000+ server, globally distributed network, Akamai Technologies is in a unique position to observe and defend against these attacks. 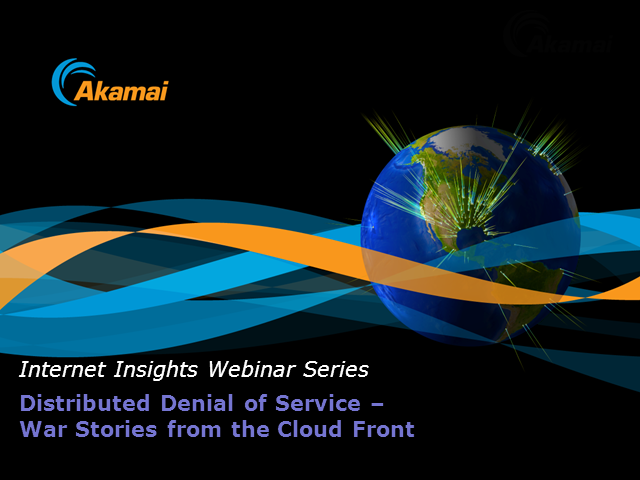 Drawing on our real-world experiences in defending customers against attack, Akamai will cover DDoS attacker techniques, Akamai's defense strategies, and lessons learned for effectively responding to this threat. - Gain insight into recommended defense strategies, including instrumentation and monitoring, traffic redirects, and Akamai's DDoS defense architecture.